Above: The 747 Supertanker takes off from McClellan Air Field in Sacramento, March 24, 2016. Photo by Bill Gabbert. The 747 Supertanker has been dispatched to Israel to help firefighters on the ground who are dealing with numerous wildfires. Jim Wheeler, President and CEO of Global SuperTanker Services, said that after sending their employees home for Thanksgiving he received a call from the Israeli government requesting the services of the 19,200-gallon air tanker. Scrambling to get the 12 personnel back to Colorado Springs who would be making the trip, the contingent departed at about 10 p.m. MST on Thursday, November 24. The flight to Ben Gurion International Airport in Tel Aviv should take a planned 12.5 hours cruising at 550 mph. Mr. Wheeler said it flew non-stop with six hours to spare. Typical route between Colorado Springs and Tel Aviv — about 6,900 miles. When we checked FlightRadar24 at 9:30 a.m. MST on November 25 it was over Turkey and must have had a tail wind as it flew at 615 mph at 37,000 feet. It should arrive at about 10:25 a.m. MST. 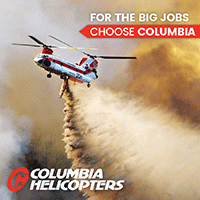 The company sent two complete flight crews, Mr. Wheeler said, each consisting of two pilots and a drop system operator who is responsible for the retardant delivery system. In addition there were four maintenance and ground personnel, one supervisor, and Bob Soelberg, Program Manager for Global Supertanker, who will liaise with the Israeli government. 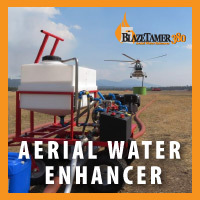 The aircraft can drop retardant, foam, gel, or other fire suppressants. This is not the first time a Supertanker has been mobilized to Israel. In December 2010 the first generation of the aircraft dropped on the Mt. Carmel Fire in which 44 people died. The aircraft was one of 30 that were dispatched at that time from countries all over the world, including six Modular Airborne FireFighting System (MAFFS) air tankers from the U.S. military. The assistance from the MAFFS was approved and arranged late in the incident and they never took off or were turned around at a refueling stop in the Azores. It went relatively quickly yesterday, we still have a few minor details to clean up but the Israelis were most cooperative and efficient. If it actually is assigned to a fire in Israel after it arrives it will be the first time this version of the SuperTanker has dropped on an actual fire. The previous version had a call when needed contract with the U.S. Forest Service and was used sparingly, making its first fire drop on the Railbelt Complex of fires in Alaska, July 31, 2009. Over the last three days numerous fires, some suspected of being arson related, have plagued the country. On Thursday tens of thousands of residents were forced to flee the city of Haifa. Since the deadly Mt. Carmel fire Israel has substantially beefed up their fire aviation resources and now have 14 Single Engine Air Tankers under contract supplied by Elbit Systems and Chim Nir Flight Services. The SEATs have their place in the firefighter’s tool box, but the 747 carries far more than all of their SEATs combined. In June Israel loaned three of their SEATs to Cyprus to help suppress large fires near Paphos and Evrychou. Now they are on the receiving end as firefighting aircraft are arriving from the U.S., Greece, Cyprus, Croatia, Italy, and Turkey. In addition, Russia sent two water scooping Be-200 air tankers. One can be seen scooping in the video at the top of the page. 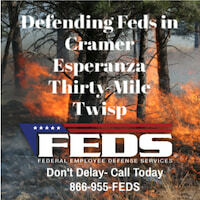 In spite of a report in a major east coast newspaper, the U.S. National Interagency Fire Center has not received any orders for firefighting resources. But, according to BLM spokesperson Randall Eardley, there have been some discussions about crew availability. Jessica Gardetto of the BLM said the Pentagon has inquired about the process for sending assistance internationally. That will be the real test for the SuperTanker. Although impressive just another airplane flying across the oceans. A first could have been 18,000 U.S. gallons of gel arriving over Israel non stop from Colorado, assigned a fire, delivering (discharging) the gel. Even if a fire was in mop-up this would have been a great P.R. opportunity, one for the books. Can the SuperTanker operate at night? Are there any other firefighting planes that can do that? Coordinating airplanes flying at 2000 or 3000 ft above the ground can/could do it. Some helicopters(LA County) are testing the possibility. VLAT’s ; DC-10’s, B747 could try dropping at 1000 feet above terrain… Usually winds are dying down at night so that might help but it can’t be very efficient. With the technology that exist today it is possible to deliver retardant after sundown at 200 feet AGL. Will the technology be adapted by the tradition driven fire service, not likely. “You can’t spray crops at night (era 1960’s) with an airplane!” Night ag work has a better safety record than spraying during daylight hours. When dropping or discharging chemically enhanced water delivery is only part of the suppression picture. You need fire fighters in position to take advantage of the drops. 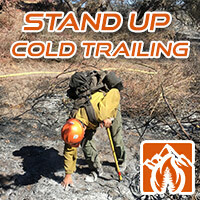 Sunset to sunrise retardant covered vegetation, cliffs, rocks rugged terrain, risk verses gain? 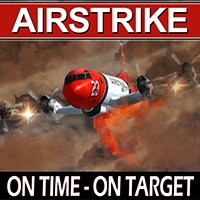 With reference to the Israel incidents aircraft are working inside the urban interface zone. Pilots need to see not only where to drop but where not to drop. Example a transformer station that supplies a huge amounts of electricity to a large area. One 600 gallon misplaced drop could put a lot of people in the dark including water pumping station. Helicopters can hover. We can’t. Spraying crops; fields are flat with no obstacles, no terrain. You ste lights all over the place. 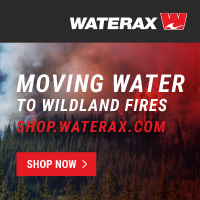 Wildland or urban interface brings challenges to any drop. Before we consider dropping at night, let’s start having Air Ops at earliest possible time in the morning… From 6 am until noon, this 6hr window is the best. Winds are down and earth is cold. Send the UAV’s out at night. Good mission for an upgraded K-MAX. Yes, I like the K Max idea. Working INSIDE the urban interface has its own unique problem. Read above the comment I posted; add cell and communication towers. As for early morning getting the ATGS up (maybe a helicopter coordinator) by sunrise usually is more of a fire weather report, “inversion smoked in”. As for night (Par 137) ag. flying it evolved from open large areas to eventually forty acre fields surrounded by power lines. Large dark areas like cotton in Arizona cloud cover stop flying. Smaller fields with power lines, never go under the lines after sunset. Maybe effective night fire work will evolve some decade like agricultural night spraying. As for the 747 responding to Israel at least someone made a timely commitment and even on the Thanksgiving Holiday Global Supertankers pulled it off. Congratulations. yep congrats to the B747 for responding. As I said… and will say over and over; let’s try Day Ops as early as possible first. Trust me on this one. The 6am-Noon window is the best one to hammer the fire. Inversion layers happen but not all the time. I agree, Jerome. This also applies to firefighters on the ground. To get the most done, the day shift should be at their assignment out on the fire as the sun rises. When the fire is blowing up between 1 p.m. and 5 p.m. it’s tough to be very efficient. Because we are talking aircraft use I won’t get started on the probability of (before 0800) taking action by both ground and air resources on a going fire, it just doesn’t happen in the real world. Until there is a financial incentive for private companies to tackle the night delivery of a significant amount of chemicals in a short period of time it will probably never move any further than what we see today in So Cal, stadium fire fighting. The VLATS have arrived and this should open up one end of the “box” with new approaches to shorten the time for containment. Again, financial incentives for the private sector to accomplish the task. I’d rather see financial incentive to design and build a purpose built AirTanker … That would really help. May be of interest. Graduate students winning designs for a purpose built large air tanker. May be of interest. The American Institute of Aeronautics large air tanker design contest results have been announced. Here are the winning designs.